← Every community needs a weather-ready stress test. Faulkner got it right. It’s August, and in the steamy sauna that is summertime Washington, DC (even without any climate-change contribution), Faulkner’s reflection seems particularly poignant. I’m filled with nostalgia for the thin (cool, dry) air of August in Boulder, and for two research facilities there that were meaningful to my early career. In the last month, I have learned with regret of their decommissioning. For years, Gordon sought appropriation language to deploy a nationwide network of these instruments, but he would never get much past the original demonstration network of twenty or so. Capital cost was an issue, but at first, it seemed to us in the lab that tradition was the barrier. I used to speculate in talks about an alternative universe in which the wind profilers had been introduced first and put into widespread use, and weather balloons had only come along later. Protagonists would point out their ability to measure temperature and wind directly, but traditionalists would carry the day: You mean you’re littering the landscape with collapsed balloons and crashed rawinsonde packages? It takes an hour to get a profile, and the profile isn’t vertical but some irregular, elongated line reflecting a windblown trajectory? That you launch by hand? That you struggle to launch in stormy weather? That you’ll only be able to do this a couple of times a day at a few hundred locations worldwide? In that universe, weather balloons would never fly. Of course, since then, as the NWS-change-notice documents, time and other technologies and platforms passed the ground-based profilers by except for specialized application here and there. A brief aside. 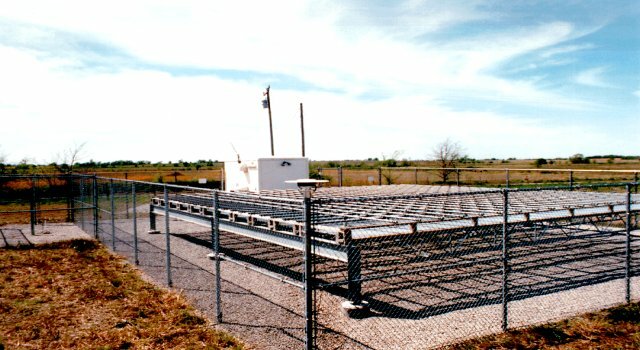 The Platteville, Colorado profiler shown was built near the site of an earlier Platteville radar designed to observe, and, incidentally, to modify the ionosphere through ionospheric heating. Such ionospheric heating held potential as a diagnostic tool but also offered practical application of then-classified interest (incidentally occasioning my first security clearance). Ironically, such radar work was sited in the Boulder area because the region was considered “electromagnetically quiet,” a quaint concept. Nowadays cellphone coverage is nearly ubiquitous worldwide and in urban areas you get the feeling that if you held up a hot dog on a city intersection the ambient microwave radiation would cook it in minutes (perhaps the hidden secret explaining today’s otherwise mysterious profusion of food trucks). The Boulder Atmospheric Observatory (BAO). When I transferred from the Ionospheric Telecommunications Laboratory to the Wave Propagation Laboratory in 1970, WPL was in an exciting phase. Engineers and scientists were hard at work on theory and experiment with active- and passive optical-, radio-, and acoustic ground-based remote sensing. 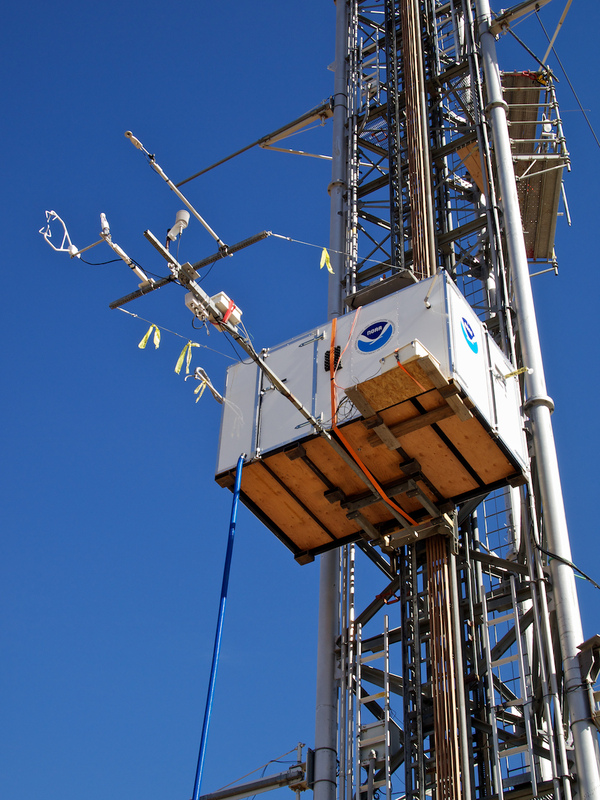 The instruments were providing an unprecedented look at boundary-layer and tropospheric processes. But ground-truthing these new capabilities against in situ instruments remained frustrating. Such comparisons were fiendishly difficult technically. The logistics also left something to be desired. Because Colorado was then electromagnetically quiet, its expansive real estate was being used to compare tropospheric radio wave propagation with that expected on the basis of meteorological conditions – atmospheric temperature and humidity, and the profiles of these near the ground, which at times allowed wave ducting and at other times inhibited it; turbulence and precipitation which scattered or attenuated the signal. For experiments, radio transmitters would be set up on a tower at Table Mountain, near Boulder, and receivers set up at Haswell, Colorado, a town about 200 miles to the southeast. A 500’ tower had been erected at Haswell and instrumented to monitor the atmospheric conditions, generally assumed to be horizontal over the entire path. The lab would truck remote sensors down there for testing; some of the rest of us would fly back and forth in a small plane owned by one of our branch chiefs, using the dirt road that serviced the site for a landing strip. The Haswell tower had a flimsy elevator instrument carriage also used to carry technicians to fixed levels to install and maintain other sensors. On one occasion the elevator cable snapped just as two technicians were preparing to ride down from the top. The cable left the entire tower oscillating violently, as our two men, still shaking from fear at their near-death experience, were forced to clamber down the 500 feet on foot. The one motel, at nearby Eads, had fungus problems. One or two staff overnighting there came down with nasty infections. 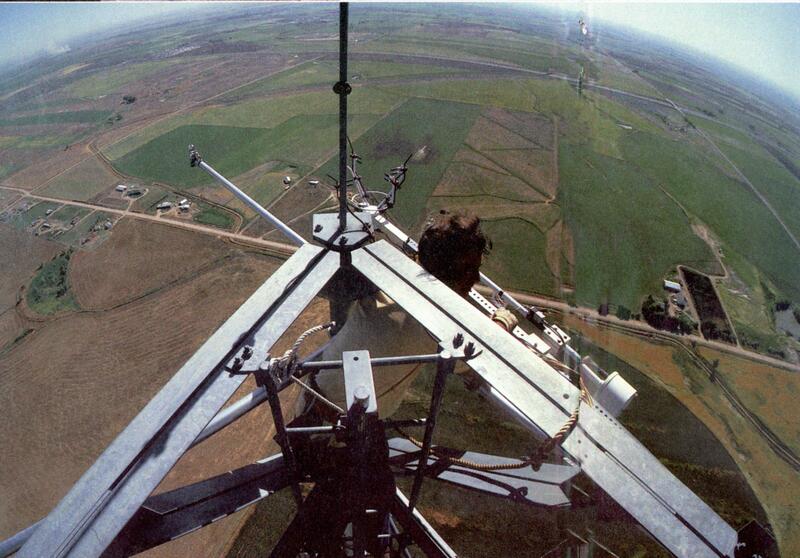 Gordon (and the rest of us) used to dream of a tower closer by, and, finally, after the cable accident, we got our chance, to build a 980’ tower at Erie, Colorado. Just one problem. The $750K we’d allocated to build the tower (1970’s dollars), were short by a factor of two. That’s because at the last moment before letting the contract, Gordon decided the tower should withstand 150 mph winds and half an inch ice accumulation on all exposed surfaces. (Each weather condition is common in Colorado, but they’d never occurred simultaneously in anyone’s memory.) The lowest bid came in at a cool $1300K. To our amazement, the same NOAA headquarters that had dithered for two years to give the go-ahead at the $750K figure took only two weeks to come up with the extra cash letting us go ahead. Instead of a cable elevator, we had a cog-and-gear elevator designed and built by a Swedish firm; no way would it ever fail. The Georgia company that put it up for us told us it was the most rigid structure they’d ever built. Hundreds of BAO stories are flooding back, but let’s just focus on two. First, at about the same time we were going operational, Air Force Cambridge Research Laboratories was phasing out its boundary-layer research program. The NOAA administrator at the time, Robert White, had contacts there and across DoD. Through some miracle he succeeded in getting AFCRL to transfer their world-class team of scientists – John Wyngaard, Chandran Kaimal, and Duane Haugen, along with their indefatigable technician Jim Newman and $500K of priceless sonic anemometry to WPL. Once they arrived, and set up their equipment, our remote-sensing ground-truthing went from abysmal to superb. Radar and sodar winds matched tower winds. Temperature- and humidity comparisons fell into line. Echo strengths from our active remote sensors matched those measured at the tower. Turned out we had been great at the remote-sensing all along. We just didn’t understand how to take in situ observations properly. Wasn’t long before researchers and manufacturers started coming to the BAO to evaluate their work. What did I know? Of course, that’s what he went and did. 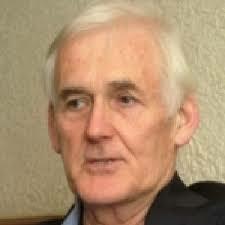 Today he’s retired, and knighted, and Julian Charles Roland Hunt, Baron Hunt of Chesterton. You can (and should) read more about Sir Julian and his work in the House of Lords and his return to academia on the link. In 2001 he was good enough to come speak to our first AMS Summer Policy Colloquium, and stick around with us a couple of days. Ah, those were the days. Faulkner did indeed have it right. But Nabokov got it right as well. You and I can and should feel an even greater nostalgia for tomorrow – longing for it, eagerly looking toward it, and working with vigor to shape it in a positive, beneficial way. Today’s remote sensing instruments and an array novel platforms, including drones, for probing the atmosphere and oceans offer truly breathtaking diagnostic power. More-advanced capabilities are in the pipeline. Coupled with big data and data analytics, they’re going to transform our understanding of how the Earth works and what it will do next. And not a moment too soon! We’re transitioning to a managed planet, and it’ll require our very best natural and social science, our cutting-edge engineering, and above all our very best manners and social skills as seven billion of us collaborate with each other to anticipate and avoid environmental trainwrecks and keep things going. What a great set of opportunities! What an overwhelming array of challenges! Today has to be the best time in history to be alive – except for tomorrow. See, for example, the material on Gordon Little in Living on the Real World: How Thinking and Acting Like Meteorologists Will Help Save the Planet. My Ph.D. research focused on ionospheric physics. I worked as a graduate student one summer at Boulder’s Environmental Research Laboratories, then part of the DoC Environmental Services Administration (ESSA), which was renamed NOAA in 1970, when President Nixon transferred the Bureau of Commercial Fisheries (now NMFS) from Interior into Commerce. ITL would not be incorporated into NOAA; it would instead be folded into the newly-formed National Telecommunications Information Agency (NTIA), established when NOAA was created. That dirt road seemed plenty wide to me until one time coming home we stopped at Stapleton Airport (the predecessor of today’s Denver International Airport) for lunch. The runways looked so wide it felt like we could land crossways on them. Bill, great column. I longed for a period where we would have both weather balloons and profilers. Think of the advantages both would provide with today’s mesoscale models, especially in tornado alley. 🙂 thanks, Mike. Well said/couldn’t agree more. Hello John, I found your post and started to think that it reminded me of what I read in a 1981 report about remote sensing… I then found the report and realised you wrote it ! So all is well 🙂 The report is called “A REVIEW OF REMOTE-SENSOR POTENTIAL FOR WIND-ENERGY STUDIES”. Since then LiDARs and SODARs have indeed gained much popularity 🙂 The report is archived on my website, I have blog post on the early days of remote sensing on my to-do list, your excellent work will of course be mentioned. Two major flaws in this late night comment: 1) it is adressed to John and not William ^^ 2) it does not provide the link to the document. Apologies, dear William. Link: https://drive.google.com/drive/folders/1nrmY9K7sxF4mIrSwamqfHOfUWZJ9d5Gb. Link to the blog: http://www.aeolians.net.